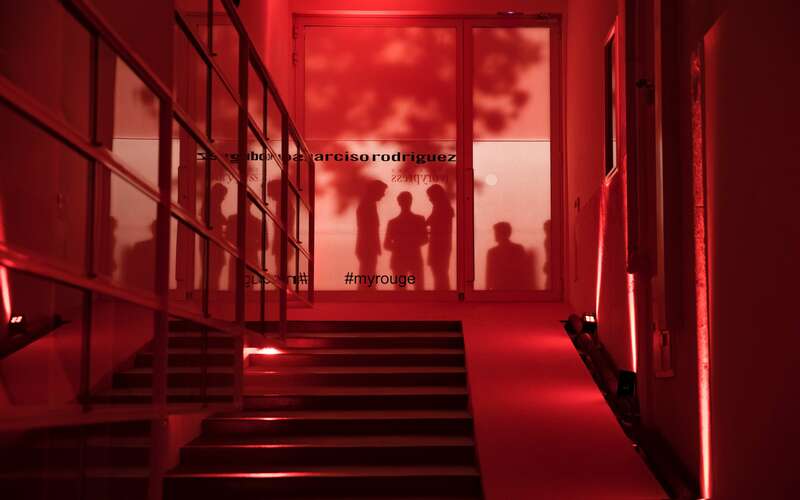 To introduce Eau de Parfum Rouge, the new fragrance by Narciso Rodríguez, we developed a red event. We chose Ivorypress art gallery, designed by architect Norman Foster, to host the event. The invitation was designed as the first contact between the attendants and the event: an unfolding red box containing the perfume and all the information printed inside. Each one of the 40 women invited received the box with a personalized handwritten label. All red, from the invitation to the last drink. We used neon light and minimal furniture to emphasize the Ivorypress architecture. 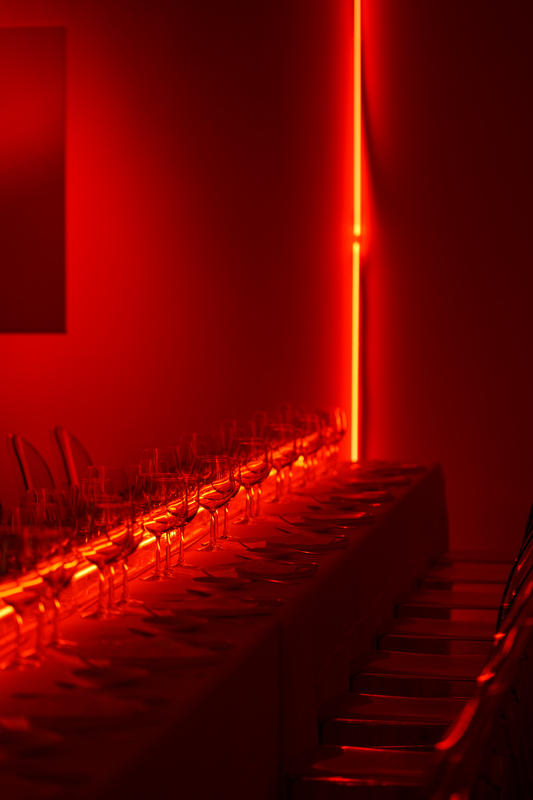 With red color in mind we directed the catering done by Horcher. We also paired the food with music: a pianist playing a red Steinway during the appetizers and a saxophonist during the dinner. The interior design work was minimalistic, giving importance to the space itself and the light. The red neon light, going through the table and up the wall, the furniture and the floral decoration created and interesting dialogue with the postindustrial architecture of the space. The brand's logo and prints of images from the campaign helped contextualize the event. In all our interventions we kept the intrinsic interest of the place. We used two fog machines to create a photo-call in the terrace. From the tables the attendants could see part of the art collection illuminated by red lights. We divided the space with red cabinets showing the product displayed over textures: velvet, rose petals, lacquered paint and a plain background.